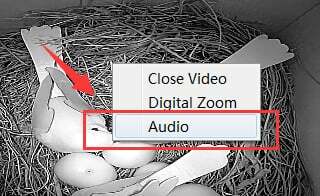 The CMS5 PC software can give you full access to the bird box camera including configuration, playback the video, watch the live video. You will need to install the software on a PC computer. This is the guide for viewing the recording files on your camera. 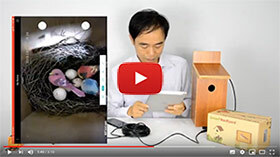 The Micro SD card is selling separately in some of the products like Wi-Fi bird box camera. 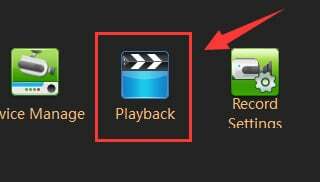 2.Mark the check box in front of the camera you would like to playback in the list. 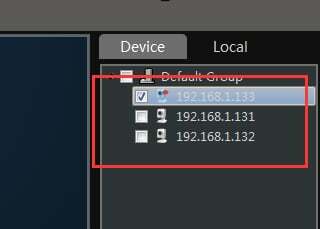 NOTE: If you choose “Local”, the software will playback the video recording in the computer, but not from IP bird camera. 3.Click “Search” at the bottom-right to locate the recording files. NOTE: if it doesn’t find any files, please check the camera’s time stamp matching the time of your computer. 4.Click the recording files to watch the video. NOTE: Press the stop button before playing a new video files. 5.Right click on the video, select “Audio” to hear the voice in the recording files.